The storm system that moved through the Mid-South on Tuesday night also battered the Gulf Coast as a squall line raced across that region and flooding was reported in many areas of the south. If you read yesterday morning's blog entry that showed the Mid-South on the backside of a large area of rain and t'storms, you may recall seeing that squall line moving across the FL panhandle. As it turns out, about 2 hours earlier, it raced through Mobile, AL and some popular Mid-South beach retreat spots - Gulf Shores, Dauphin Island, and Orange Beach. The storm system dropped an EF-2 tornado with 120 mph wind south of Mobile in the town of Theodore, AL. The twister, which touched down around 8:40am, severely damaged several buildings in a commercial district, injuring 4 but thankfully taking no lives. 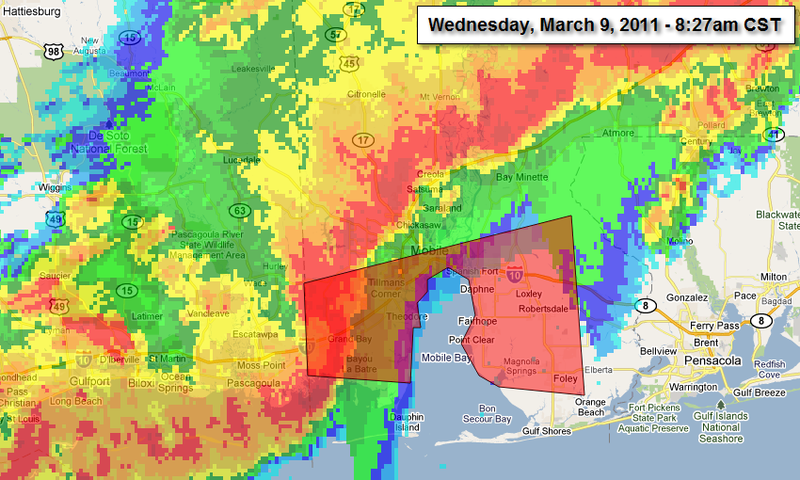 Radar is shown below at the time the tornado warning [red polygon] was issued at 8:27am. You'll see the proximity of the storm to downtown Mobile and the AL beaches many Mid-Southerners are familiar with (click the image for a larger version). 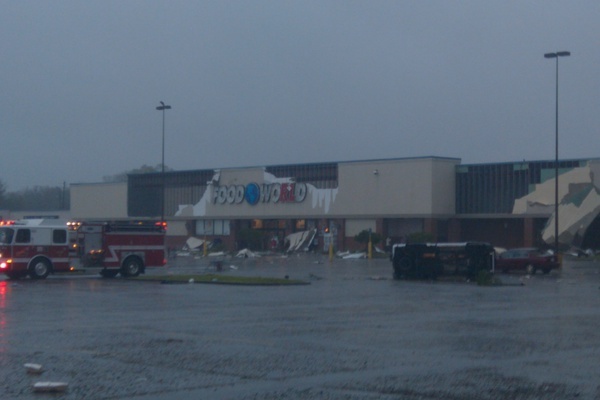 You can also find many pictures of the damage (including the one below) taken by meteorologist Jim Loznicka (@jimwxgator on Twitter) of WJHG-TV in Panama City Beach, who happened to be within a couple of miles of the tornado when it ripped up the business district in Theodore. Some important lesson can be learned from this storm that apply anywhere. Tornadoes can strike quickly and leave a trail of devastation in a matter of seconds and running towards windows or outdoors to "see the tornado" and not taking cover is the WRONG thing to do. The security camera videos from Alexander Hardware and Small Engine (of which there are many on YouTube), located in the business district that suffered EF-2 damage, show just how quickly it can happen and the damage that often occurs. A couple of the videos are shown below. Notice how lightning/power flashes three times, the power goes out, then the tornado hits, and within seconds it is all done. MemphisWeather.net reminds you that anytime a Tornado Warning is issued, take cover immediately in the interior of the lowest floor available or under ground if possible. 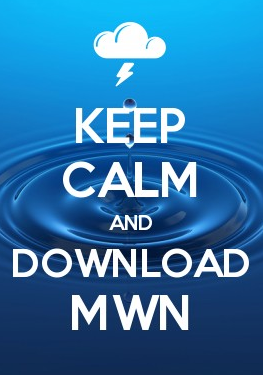 For more safety tips, see the MWN Storm Center.